Each kit includes gussets, door bar spacers & roof hoop gussets if necessary. Every cage is custom built to the body style you specify. .All of our cages come with our full instruction booklet, written in plain English, so you don't waste any time. Add a 501 upgrade that includes the diagonal main hoop braces and a seat belt bar for installation in the main hoop. Our cages are made of 1 3/4" x 0.095 wall ERW tubing. You may request 1 1/2" x 0.095 wall ERW tubing at an additional charge. This cage kit can be picked up at our facility (unboxed) or can be shipped by truck freight (for an additional cost) to a business address with dock or forklift or to the local terminal for pickup. 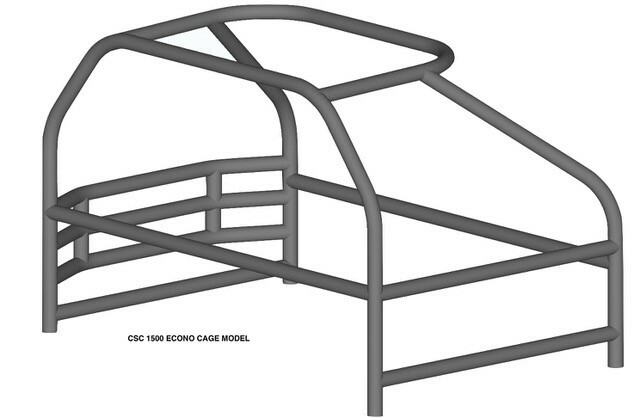 Cages are available in DOM seamless material, please call 1-905-685-4291 to have your cage priced in DOM.